Mazda2 This new subcompact applies a sporty look and feel to a great economy car. Hello there! We are going to buy a 2012 Japanese imported Mazda Demio (Mazda 2). Its interior it's different from the European Mazda 2 version. It has a screen in the middle of the dashboard. Is the screen only for the CD player? Is it a GPS? I was wondering, does it have a USB port? Bluetooth? These are very convenient features that we'd like to have. Unfortunately I can't find a lot info about the Japanese version. Ive never seen a (DE) Demio with bluetooth before, nor a (DE) Mazda 2 for that mater. Can you post any photos of the screen? It may have USB, look in front of the handbrake lever. I bought a 2012 Japanese imported Mazda Demio today. 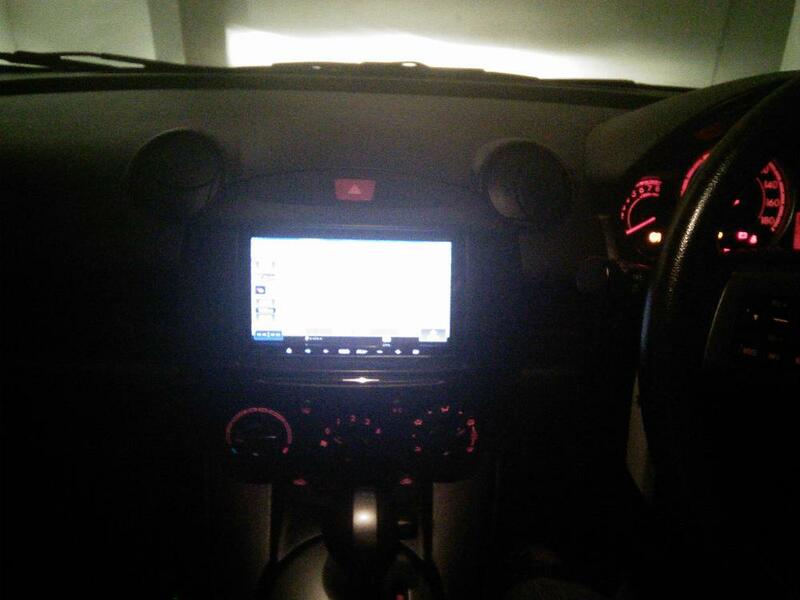 In my case that screen in the middle of dashboard is Panasonic AVIC-MRZ05 (I stumbled upon this forum while searching for info on it actually). It seems to be a domestic model too, as I could find any info about it only on AVIC-MRZ05 ?????? | ????????? | ??? | ???? | ????????? 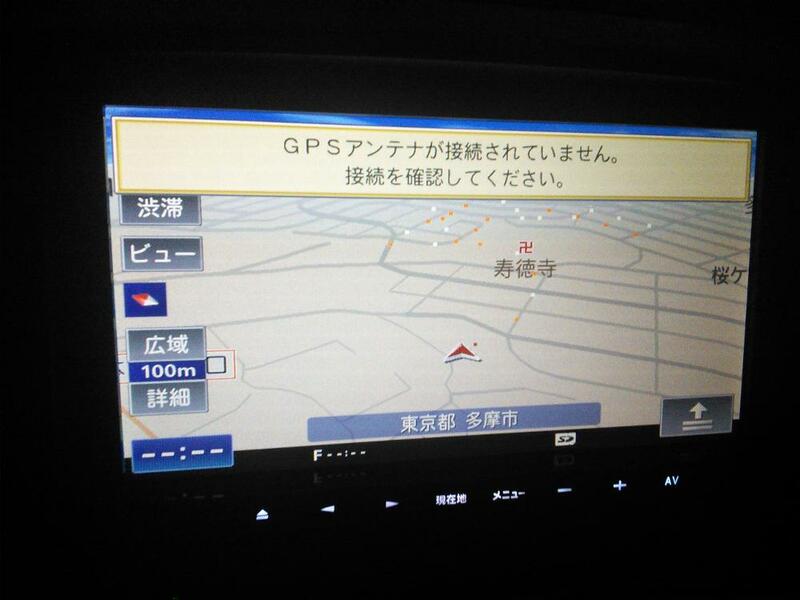 It boasts a GPS, but getting a set of maps for it and uploading them will be a problem. I found the recommended software - carrozzeria | ƒiƒrƒXƒ^ƒWƒI�iŠyƒiƒr/ŠyƒiƒrLite—p�jVer.1.3 - but I'm not really sure about anything in it. 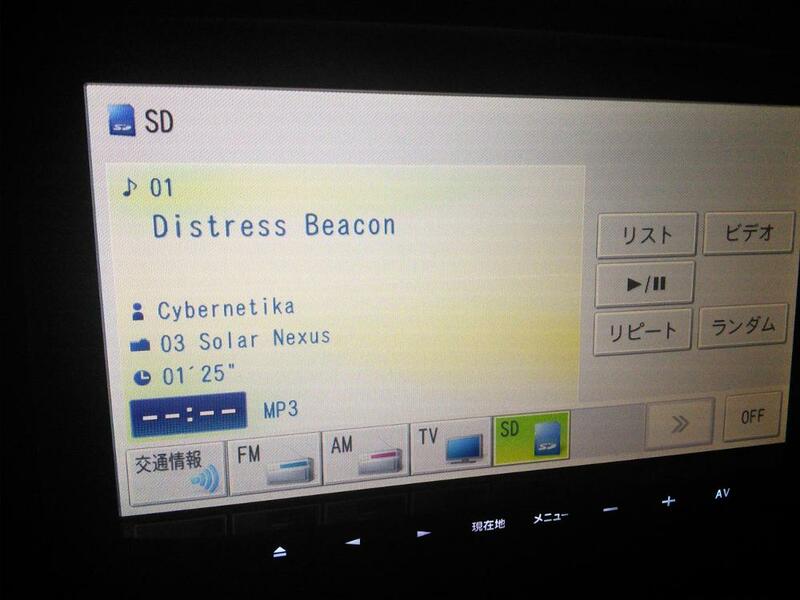 It also receives FM radio and should've allowed to catch on-air TV channels if I was in Japan. I didn't find any USB (yet?) and didn't test what probably is bluetooth connection properly (it didn't pair with my old non-touchscreen phone, and I didn't exactly hope for it). However, when you "eject" it, the screen slides out and there is a full-SD card slot there and a CD slot. It's all in Japanese in my case and with no hopes to translate it (the model was discontinued in 2014 according to the site) I'm aiming to find a way to replace it. After all, I'm not even sure if bluetooth means what I think as it proposes "1600khz" and "1628khz" (or so) frequencies, while bluetooth operates at 2,4Ghz. Once I'll convince my kid to go to sleep, I'll investigate further, obviously. Last edited by faijeya; 04-13-2016 at 01:44 PM. So, if the dashboard looks like this - http://i.imgur.com/5C2CM04.jpg - chances are you do have that MRZ05. I looked all over a place, but didn't find any USB. If it is there, it's hidden. I was wrong on bluetooth, these frequences are Japan Highway Advisory Radio. Hope that helps to make an informed choice. Ditch it. Not worth trying to do anything with it. I'm currently researching how I can replace it with minimal intrusions in the wiring (the connectors there seem to be custom anyway). I mean, ordering something that will be suitable for installation and that I'll like and paying a proper car electronics engineer to do the actual installation. Thanks for your replies. grim_reaper I can't specify which model exactly is the car because I haven't got it yet. Though I think it's a newer model than faijeya's since the one I want to buy has climate control not a simple air conditioning. faijeya I'm from Cyprus too. Behind the shift lever, in the image you provided, I think I can detect a small lever/switch, which the one I'm about to buy doesn't have it. The company assured me that they will take care of putting an FM transmitter suitable for Cypriot radio stations and convert everything in English on-screen. So it has an SD card slot? If it does and it's working for listening to music then that would be cool since my current options were: 1. Buy an FM transmitter (for the power plug) with USB or 2. Exchanging the whole screen with a good CD player. Again thanks for the information and images provided. I must apologize, I found a solution more than a year ago and forgot about this thread. Still, it may be of some value for people in the future who'll stumble upon it. So, in my case that original headunit seemed to be installed back at the Japanese dealership for the first happy owner of my car. This is not something that was installed by Mazda just because it was connected through an adapter and buttons on the wheel didn't work whatsoever. I don't think it's the local reseller job judging by the date written on the adapter: it was April 2012 while my car was manufactured in March 2012. I've replaced that Panasonic headunit with a Chinese replacement unit. I won't be posting any direct links, but if you search on Aliexpress for "dasaita mazda 2", you'll find it. It is important to note that if you decide to buy one, you have to ask the seller if it will work on your make of car. I don't know about NA, but EU and Japanese cars may have different connectors. Also, these types of replacement units won't work on newer Mazda 2's, only on 2007-2014 generation. And, of course, I can't guarantee that the unit you may receive will be of proper quality, I just have my own anecdotal experience. Ok, so it's a pretty powerful unit even for this year, it sports a RK3368 (PX5) CPU and can do a lot. Three USB connectors, 4G modem support, AV inputs, all buttons on the wheel work and can be assigned to different functions (for short and long presses separately), TPMS from the same seller worked, etc. It runs Android 6.0 and has access to Google Play, so everything that works on your phone or tablet will work there too. The only real drawback is Wi-Fi. You'll need an external antenna (RP-SMA) because the antenna tucked into the front panel won't catch much. Also, it's only 802.11b/g, so if you're driving in places where 802.11n or ac is prevalent, well, you'll need a USB-powered AP to bridge the network. Or if you're lucky to have non-metered 4G contracts in your country, just connect a USB modem and you'll be fine. And the stock firmware has a lot of troubles if you try to pair bluetooth devices, so if for some reason you want to pair a keyboard (I wanted) or something, head on to XDA Developers forum and search for MTCD Android Head Units General subforum. As of 2018, it's a pretty lively place with a Dasaita (also called HotAudio) representative there and with a lot of different official and non-official firmwares you can try and hopefully not brick your system. The replacement process was very easy. Of course, you should probably get some qualified help, but if you're sure, it can be done with a single screwdriver (at least on cars with automatic transmission). Remove the side panels of the central console from driver's and passenger's legspaces respectively, unscrew the cover under the transmission lever, and unscrew the head unit. Remove an adapter if there is any, use a multimeter to make sure that power and ground are where they should be and just plug it in. I didn't even disconnect the battery and while everything was okay for me, find some qualified help. Find some qualified help not because the unit is not exactly cheap, but because if some quality control engineer on some factory in Shenzhen did not feel well when checking your unit, no one will reimburse your costs on fixing the electrics in your car, no matter how many sternly worded letters you will send. There are replacement headunits running Android with Google Play for Mazda 2 2007-2014, they are pretty capable, they can be found on Aliexpress, they can be installed quite easily, there is a live community around them, ask the seller if it'll fit your car, get some qualified help if you're not sure and if you follow the advice of some random user on internets and don't do your own research, maybe not this time, but eventually you will be screwed. 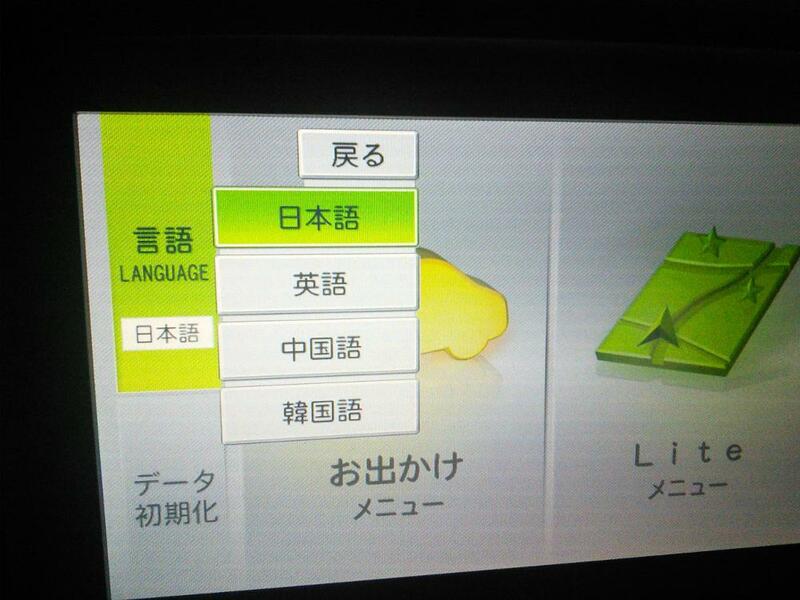 I got today a used 2011 model used and it has the screen as the one shown in the pics here.Everything is in Japanese and im trying to use an SD card for some music for now. One small problem i realized was that the wheel controls for volume - + and Mode don't work :/ also the mirror controls don't. Maybe defective? If the SD card icon does not show to the right of TV icon at the bottom of the screen when you insert the card, your SD card is most likely not formatted to FAT32. However, if your SD card is bigger than 32Gb, there isn't a straightforward way to format it to FAT32 on Windows. You'll see only exFAT or NTFS options and they won't do. It's possible that the card reader is defective or there are some card idiosyncrasies but highly unlikely. Wheel volume controls are unlikely to work at all if your unit is connected through an adapter. Mirror controls at my car are at the driver's door and they are not connected to the headunit at all. If you have a LR switch above the mirror controls, it should be pushed to the left or to the right for the respective mirror to move. In the neutral position mirror controls do nothing.